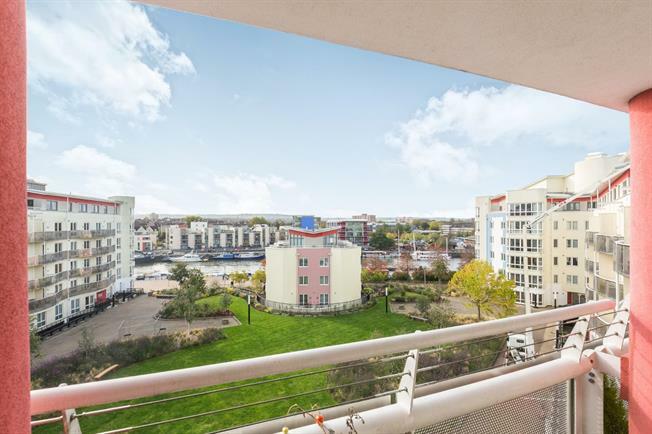 2 Bedroom Flat For Sale in Bristol for Asking Price £380,000. A fantastic opportunity to live in the much sought after Crest Nicholson development, The Crescent. The forth floor apartment offers two double bedrooms, family bathroom, ample built-in storage, a spacious , light-filled lounge come dining area, with double doors onto a private balcony and a fully fitted contemporary kitchen. Underground parking at a first come first serve basis and the property being available with no onward chain perfectly rounds off why this is definitely one to view.